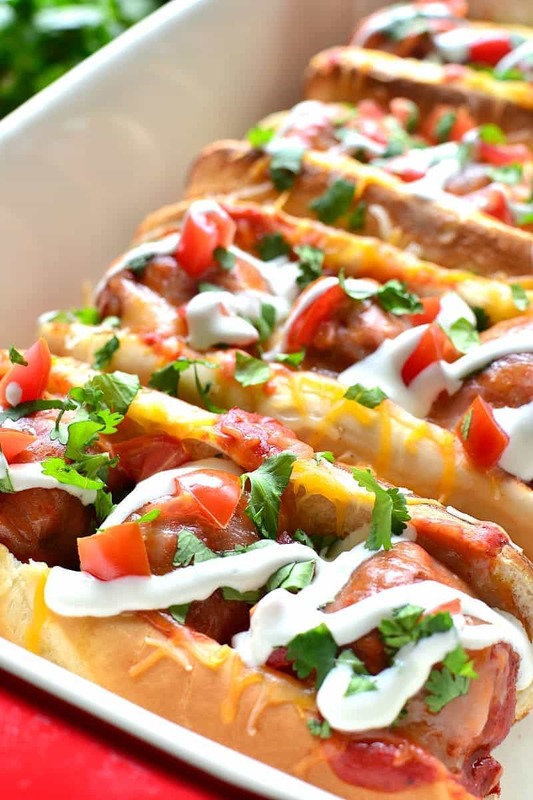 These Enchilada Meatball Subs combine two family favorites in one delicious dish that’s easy to make and perfect for busy weeknights! This quick meal is a great fast lunch or for game day! So we made it through day one of our spring break week. And we’re all alive, haha. I must say – spring break always comes as a bit of a rude awakening around here. Not only is it a sudden shift in our routine, but it’s a reminder of what’s to come in summer. And I gotta say – YIKES! Honestly. Is it just me….or do you always go into these breaks with a certain vision in mind that ends up just feeling impossible? For me, it’s a vision of everyone getting along, making the most of our time together at home, reading books, doing art projects, enjoying one another’s company. And then, about 4 hours into day one, I realize that what’s happening around me is NOTHING like what I had envisioned…and it takes everything in me not to pour myself a glass of wine and throw in the towel. But. Instead of giving up on this break and throwing in the towel, we’re planning to make the most of it. Imperfections and all! So yesterday we went to the library and out for frozen yogurt….today we have a couple play dates….and tomorrow we’re thinking about a movie and a fun lunch. It’s definitely no trip to Disney World, and I can guarantee there will be plenty of arguing along the way, but it’s better than nothing! And it’s all we’ve got. The one thing that’s making my life easier this week is EASY dinners I know everyone will love. 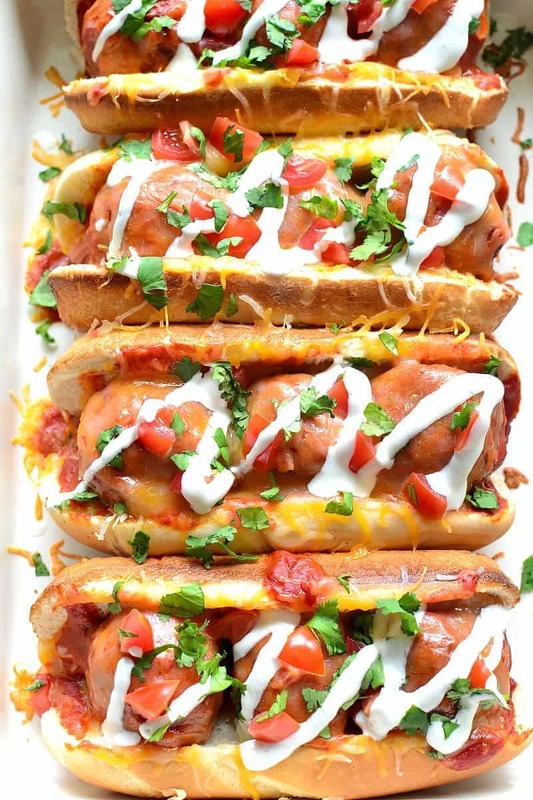 Like these Enchilada Meatball Subs! They seriously couldn’t be easier to make….and since I know they’ll go over well, they’re totally worth any amount of effort. 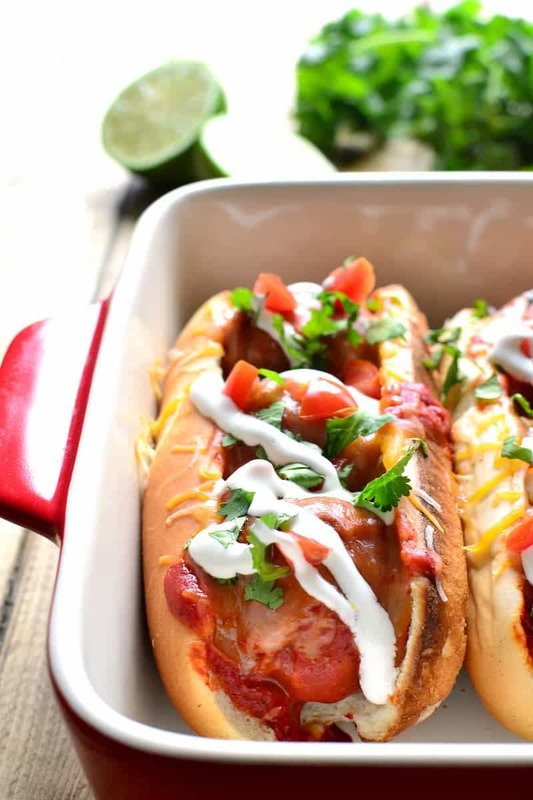 Perfect for spring break, game day, or anytime you need a delicious, sanity-saving meal! 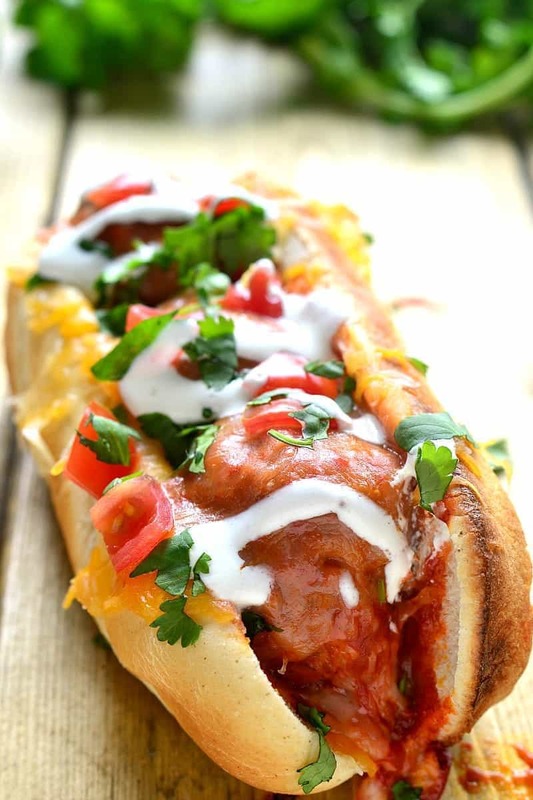 These Enchilada Meatball Subs combine two family favorites in one delicious dish that's easy to make and perfect for busy weeknights! Cook meatballs in enchilada sauce according to package instructions. 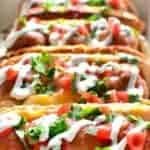 Fill sandwich rolls with meatballs (approx. 3 meatballs per roll). Place filled sandwich rolls in a 9x13 inch baking pan. Top with additional sauce from pan and sprinkle with cheddar cheese. Cover with foil; bake at 350 degrees for 15 minutes or until cheese is melted. Remove from oven; top with diced tomato, cilantro, and sour cream mixture. Love Game Day? I’ve got a bunch of recipes for you to try for your next Sunday afternoon game watching! Be sure to follow me on Pinterest for more great recipe ideas! I think that happens a lot during school vacations – and the fact that you have FOUR? and FOUR GIRLS? Yeah, you deserve some wine my friend! 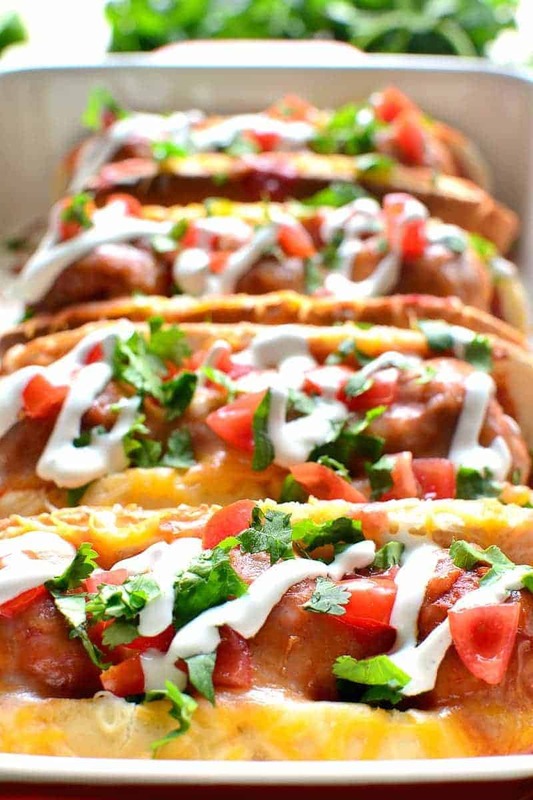 I agree that these look like the perfect dinner for a crew of hungry girlies after along day! Enjoy my friend! These are such an awesome idea! HOLY COW!! what a fabulous idea!! and I just want to reach into my screen and grab one!! I cannot even get over these! What an inspired dish! Hooray for surviving spring break! These subs look like the perfect way to celebrate. I love this creative recipe, Cathy! Sounds perfect with the enchilada flavors! These are so fun!! 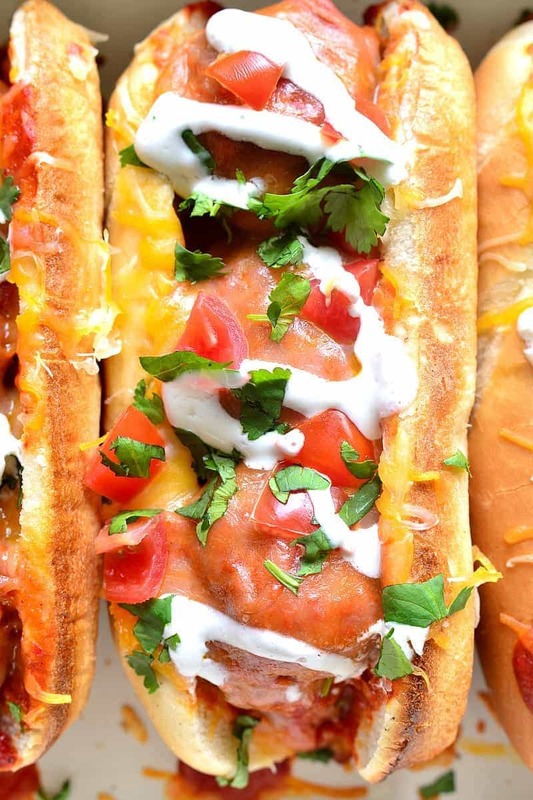 My family loves traditional meatballs subs and enchiladas, these would be a huge hit. And I only have 1 kid, and spring break totally throws me. Expectation and visions never match reality! It sounds like you made the most of your spring break! I like the merging of two great dishes in this recipe! Looks yummy!